Did you know it only takes 1/12th an inch of rain and 35 mph to hydroplane? The roads are more dangerous when rain comes after a dry spell. (Rain slicks the road with accumulated oil and dirt). But, you just need water. Even though most of the oil washes off after one day’s rain, wet roads are dangerous—rainy weather or not. Limited visibility adds to the danger. Drive smart. 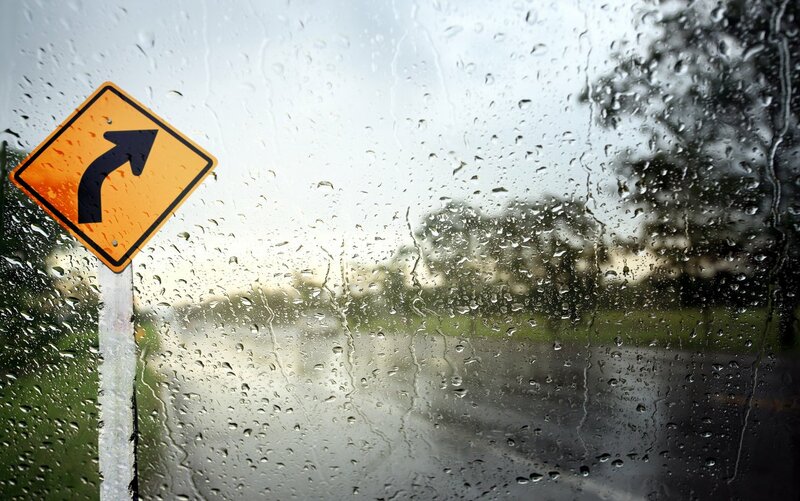 Follow these four driving tips for driving in rain. Threadbare tires are dangerous. Keep your traction at top performance. Maintain relatively new tires with deep tread. Or, get some all-weather tires. This should help if you hydroplane. Keep your windshield wiper blades ready for rainy days—before the rain comes. In Alaska, headlights have to be on whenever driving over 45 miles per hour on designated highways. Ready to Drive in Wet Weather? Read more on how to drive in the rain. Visit I Drive Safely for more driver's information, resources, and the courses we have to offer.